The Ivy House is Tonbridge's own little gem and is, to quote a regular, ‘the perfect addition to the Tonbridge social scene – my local pub and my local restaurant all rolled into one' A small bar, with a roaring fire at one end and a traditional dining room spiked with modern touches at the other make it a venue of two halves and one that welcomes the drinkers as well as the diners. A patio terrace provides the perfect spot for guests to enjoy the outdoors in the warmer months too. 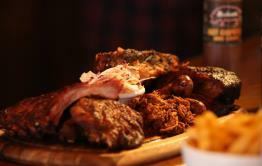 Dan and his team want to offer their food to the widest range of people and believe a pub is the best place to do that. They're as happy to serve you their flashy fish and chips with half a pint of ale as they are to bring on a three-course dinner and a £40 bottle of wine. In addition to opening every lunchtime and evening, the Ivy House dining room serves food throughout the afternoon on Saturday's and Sunday's. As well as offering the a la carte and snack menu's, Monday to Saturday sees an amazing value £10 two course lunch served from midday ‘til 3pm. And finally don't forget the legendary forerib of Kent beef which makes a guaranteed appearance on the blackboard every Sunday lunchtime - “I daren't take it off the menu for fear of a riot” jokes Dan. 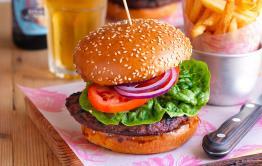 Booking essential at the weekend to be sure of getting a table. 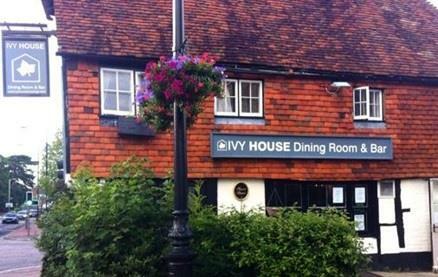 The grade II listed Ivy House is situated conveniently at the top end of Tonbridge High Street and has private parking for customers. 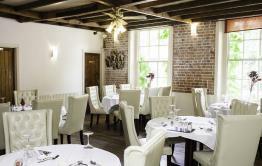 Be the first to write a review and share your experience at The Ivy House Dining Room and Bar with other diners.